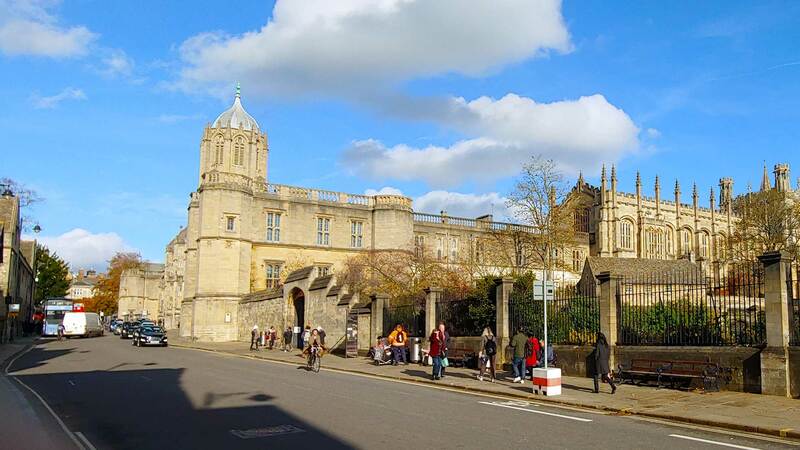 During the University holidays, the Catholic Chaplaincy offers self-catering holiday accommodation in the heart of Oxford at a reasonable rate to students and academics who wish to stay in Oxford out of term. 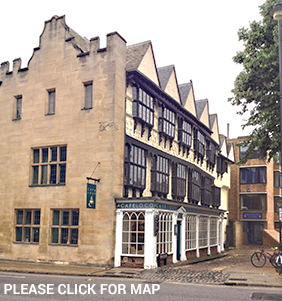 The Oxford University Catholic Chaplaincy is situated off St Aldate’s in Rose Place in the City Centre of Oxford. We have a choice of rooms available in one of the of the most historic and atmospheric buildings located in right the heart of Oxford. Oxford has a wealth of attractions on offer including punting on the River Cherwell, the Ashmolean Museum, the Oxford University Museum of Natural History, or simply marvelling at the wonderful architecture. By Train: Around an hour by train from Paddington to Oxford railway station, then a short walk or Taxi ride to the Oxford University Catholic Chaplaincy which is situated just off St Aldate’s in Rose Place. By Coach: Oxford Tube and X90. Both operate a frequent service throughout the day and night. Setting off from Victoria, the Oxford Tube passes through Notting Hill and Shepherd’s Bush en route to Oxford, whilst the X90 stops near Baker Street. From Heathrow or Gatwick, you can take the Airline, which operates a frequent, direct service to Oxford’s bus station at Gloucester Green. The Oxford University Catholic Chaplaincy is a short walk or Taxi ride way, situated just off St Aldate’s in Rose Place. Check out this Oxford city break guide on the Telegraph's website.